Never let it be said that I am detached from my readers. I know what the readership is crying out for and that’s a half-arsed update about the Dubai Tour and stage one of the Tour of Qatar. This is the kind of race that’s decided by a prologue. Taylor Phinney’s 15-second winning margin pretty much equated to the time he took on the stage one time trial. Steve Cummings from the Wirral came second. The most striking aspect of this year’s race, however, was Marcel Kittel’s performance. The German won stages two, three and four – every stage bar the prologue, in fact. Mark Cavendish had lead-out and mechanical problems but this is still a pretty strong statement from Kittel ahead of this year’s green jersey battle (except for the fact that this year’s green jersey battle is probably just for second place behind Peter Sagan). Qatar doesn’t immediately strike you as being a place with much in common with springtime northern France. 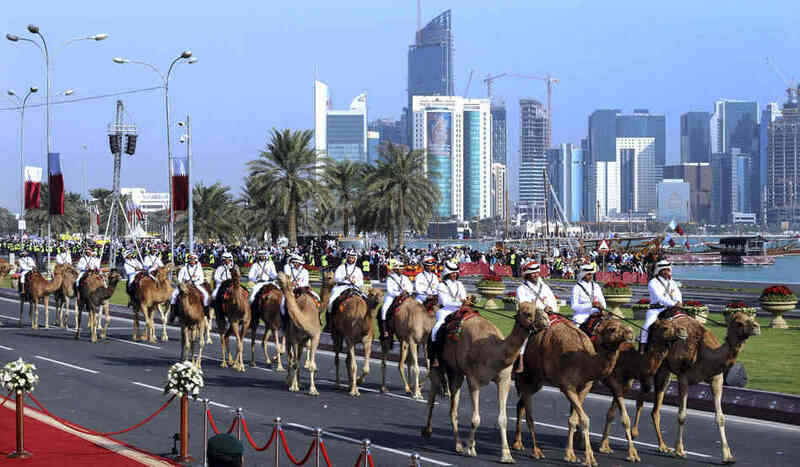 Qatar looks like this, while Paris-Roubaix looks like this. However, both places have flat roads and crosswinds, so the Tour of Qatar can give us an insight into the cobbled classics later in the year. Stage one showed us that Tom Boonen is in better shape than this time last year. Boonen seems to compete every other year, so after a rubbish 2013 he’s due. When echelons formed, he was in the first group and it took an hour for the peloton to haul them back. Everyone was knackered by then, which meant a five-man break could get away, including Niki Terpstra, who went on to win. Terpstra – a team-mate of Boonen’s – is another name worth committing to memory for the cobbles in a couple of months’ time. He was third in Paris-Roubaix last year and fifth in 2012, so he might well be up at the front when the leg-warmers go back on. Update: Tom Boonen won stage two, making it look like I actually have half an idea what I’m talking about. Don’t be misled though. I have, at most, a third of an idea. 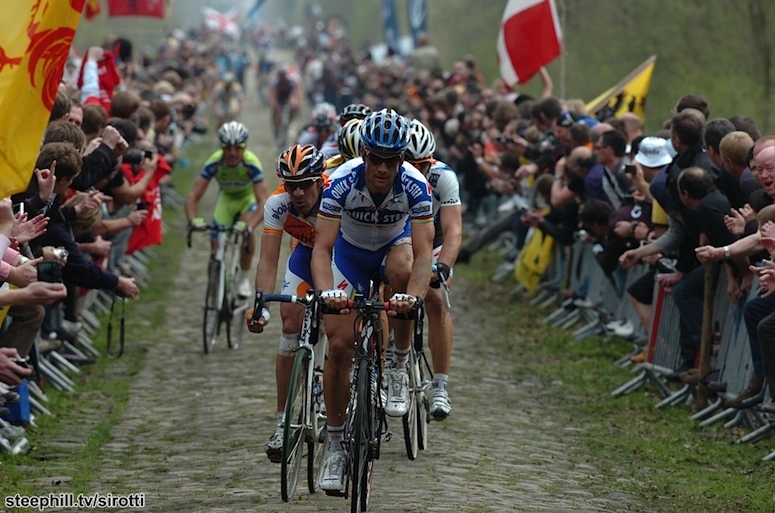 Boonen won the stage from a small front group of just eight riders which also included two hefty Brits. If you read this site, you already know Ian Stannard (83kg) who came sixth, but another name to note down is Andy Fenn (79kg) who came fourth. On that subject, here’s a link to my list of British riders to look out for in the spring classics.